Ken Spurr is a jazz pianist, teacher and bandleader who has been active as a professional musician in the Chicago area for over 10 years. Ken has performed weekly at the Plaza Club on the top floor of the Prudential Building from 1997 to 2001. He also performed with the Curt Warren Quartet at the Texas Jazz Festival from 1997 to 1999. Ken has performed with many major jazz artists including Louie Bellson, Ira Sullivan, Rufus Reid, Richie Cole, Greg Abate, Marvin Stamm and Joe Gallardo. In addition, Ken has also played and/or recorded with many local jazz artists including Rusty Jones, Nick Tountas, Joel Spencer, Kelly Sill, Larry Grey, Greg Fishman and Bob Rummage. Ken is an active member of the Chicago Federation of Musicians and A.P.O.L. (Association of Professional Orchestra Leaders). In May of 2001 he released his first CD recording, Sometime Ago , which is available on Amazon.com and CD Baby. Ken received a B.A. in Music from Valparaiso University and currently teaches piano at Elmhurst College and Harper College. 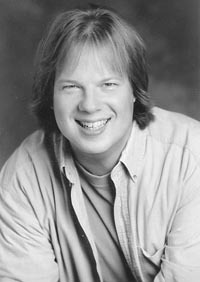 Ken has studied piano with William Foster, Larry Novak, Allan Swain, David Kikoski and Terry Dybvig.